What is a Magento 2 certification? How to prepare for a Magento 2 certification exam? Should I take it online or at the test center? Lately, the Magento 2 Front End Professional Certification and other Magento 2 certifications are a hot topic and I get so many questions about it, so I decided to share with you my fresh feedback, as I took the certification last week, just a few days before I wrote this post. 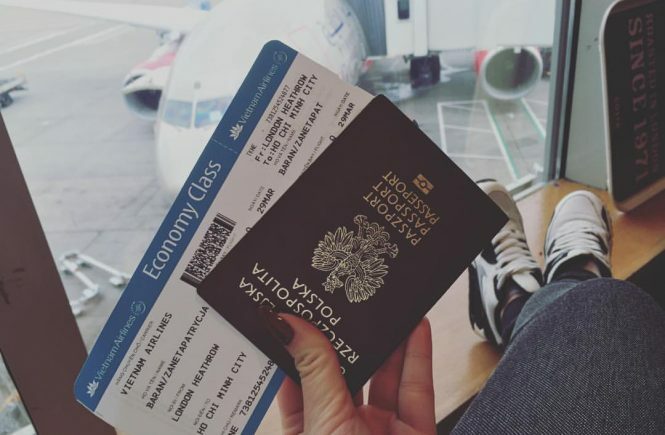 I cannot share with you the questions I had, however hopefully this post will shine a bit more light on the topic, it may also make you a bit calmer and give you an overview of the potential questions. 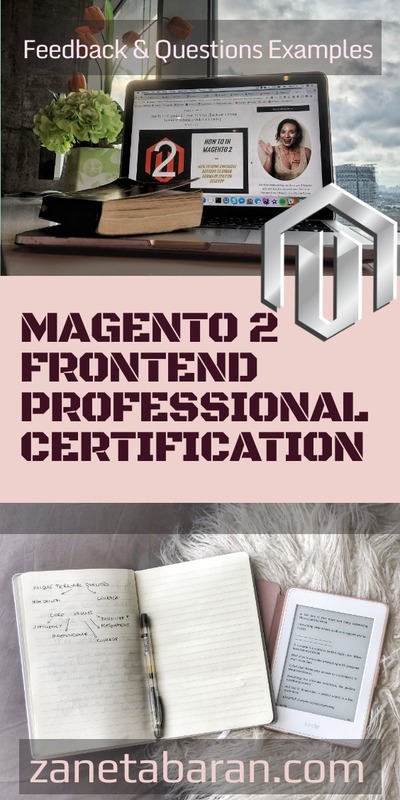 In this post we will focus on Magento 2 Certified Professional Front End Developer since it is the exam I just recently passed. All my experiences shared in this post will be based on this exam. So let make you ready for Magento 2 Front End Professional Certification! If you are a developer, project manager or in any other position related to the development and management of a store based on Magento, it will increase your chances on the market. Me, as a person who holds interviews with candidates, I do ask for a certification. It is not a MUST-HAVE but it will increase the chance of getting a job. You will LEARN A LOT! 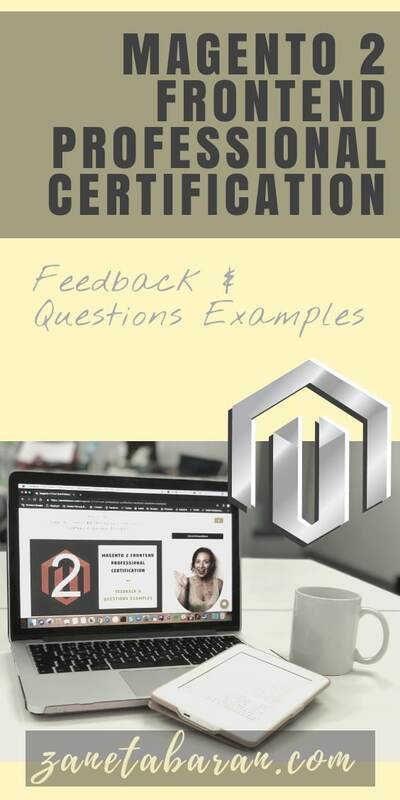 I have a feeling that the Magento 2 certification exams are prepared much better than the Magento 1 certification exams. They are more difficult, but also more practical. The studying I did to pass the exam helped me to understand some of the unclear topics about platforms and this knowledge helps me during my daily work. Highly recommended! There is not an easy answer to this question. However, let me point out a few important places where you should start. You need to have Magento 2 experiences. Magento isn’t kidding around by saying that you should preferably have 1.5 years of experience (for frontend exam). Study with SwiftOtter, their study guides are great and a paid test will help a lot. Read carefully through the materials, including the external resources which they refer to. I recommend paying $20 for all the test questions and then being able to take this test again several times. I firstly took the test after reading all the materials and then again once more just a few days before taking the exam. Read Magento 2 documentation, especially the parts pointed to by SwiftOtter. Join How To In Magento 2 Facebook group to ask questions and discuss your doubts with the community. Feel free to check out How To In Magento 2 blog post series to expand your knowledge. It’s been a few days since my exam. I took it in Manila, Philippines. Let me share with you an email which you will get after the exam. You have completed the assessment, Magento 2 Certified Professional Front End Developer on Wed Oct 17 21:12:28 MST 2018. You have passed the Magento 2 Certified Professional Front End Developer exam! You will receive a test completion email that contains your exam score. In my personal opinion, the exam IS NOT DIFFICULT. It is pretty straight forward when you have experience. I have been working with Magento 2 since Magento 2 was released. There were questions that made me think for a while. I think, based on 60 questions, I had around 10 questions which made me read them all over again, as I couldn’t get them correctly. Also, the answers are really similar in some of the cases, which makes you doubt yourself. Just focus, read carefully and just do it! It is obvious that I cannot share with you the questions I had, but I can share with you examples. I know, I know, I am getting there, as it is probably the reason why you arrived here. After submitting your answers you will receive an email with your results. Feel free to come back to this post, as questions will be added with time. Let’s start! This quiz was created based on my own experiences. It will not guarantee you to pass a real Magento 2 Frontend Certification. If I made a mistake, please, add in the comments below, I need your contribution to make these materials better. What is a correct way to get customer email in the email template? The project you are working on has an image in the footer added via static block with special text. The text on the image should be different for different languages (en_US, sv_SE). How it can be achieved? Add images to web/images folder and rename them to "img-en_US.png" and "img-sv_SE.png"
SUBSCRIBE TO THE NEWSLETTER TO GET MORE QUESTIONS! Did you enjoy the test? We have more questions! Subscribe to the newsletter in order to receive more questions. Did you find this post useful? I would be more than happy if you share it with your friends, maybe someone else will find it useful as well. Good luck!